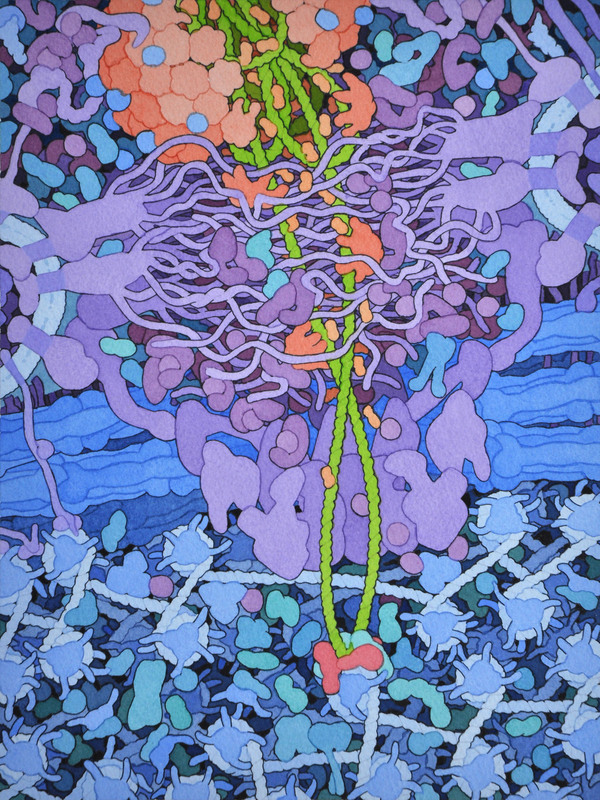 Uncoating of the viral capsid (shown at the top) and interaction with nuclear pore proteins such as Nup358 releases the viral DNA. The DNA enters the nucleus through the nuclear pore (shown in purple) and is spliced into the cellular genome by the enzyme HIV integrase. Cellular protein LEDGF is important for localization of the site of integration at DNA in nucleosomes.